Our engineering staff can custom design your building to the specifications that support wind and snow loads for your local code requirements. The roof purlins, girts, corner and wind bracing provide uniform load distribution and strong resistance to wind pressure. 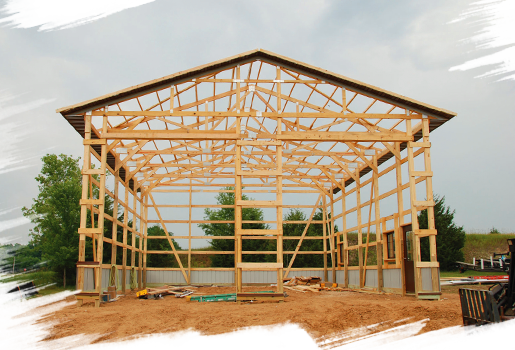 Glue-laminated pressure-treated columns, quality engineered trusses, and environmentally friendly US made steel make Northland buildings the best value in post-frame construction. Click here to download the building diagram in PDF format.